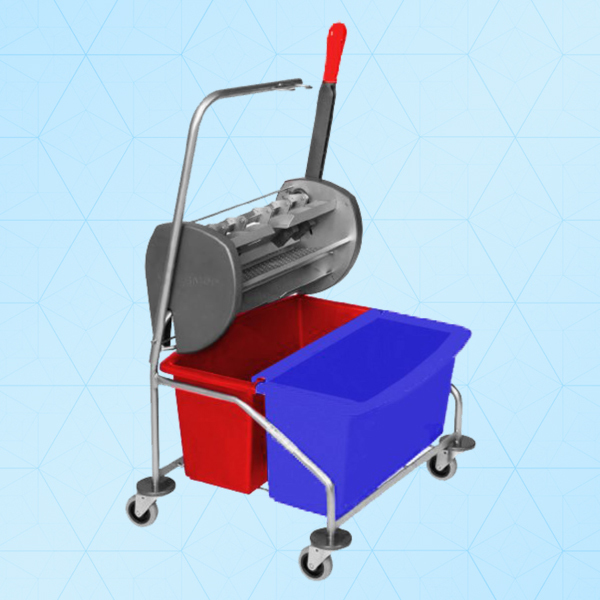 The Cleanroom Flat Mop Cart is made of high quality stainless steel and is fully Autoclavable. Two 20 liter polypropylene buckets are color coded blue and red to differentiate between clean and dirty solutions. Locking casters provide stability during use. Wringer is made of high quality stainless steel, suitable for the one-step wet cleaning process. Ergonomically designed handle serves as a rest for the mop handle and makes the cart easy to maneuver in tight production areas. Internal bucket graduations help insure correct mixing of cleaning and disinfecting solutions.